It's A Family Adventure! 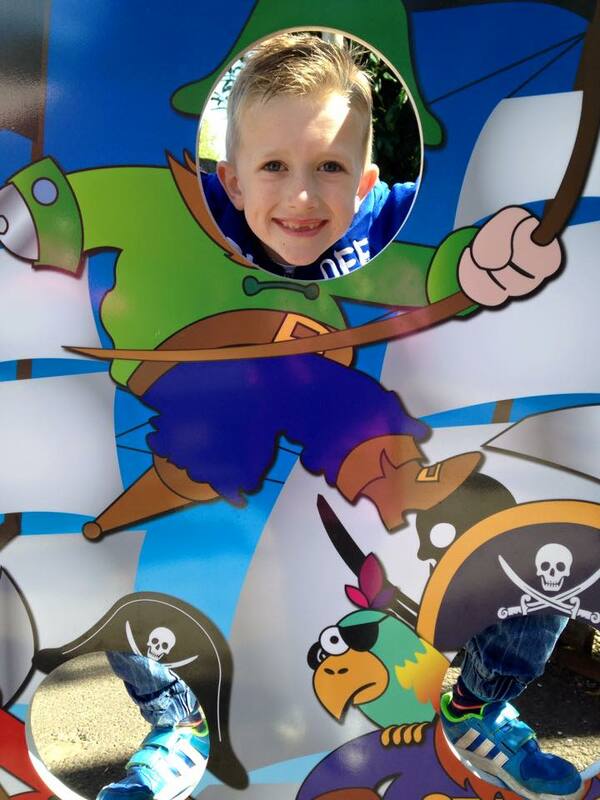 : Gulliver's Fun! 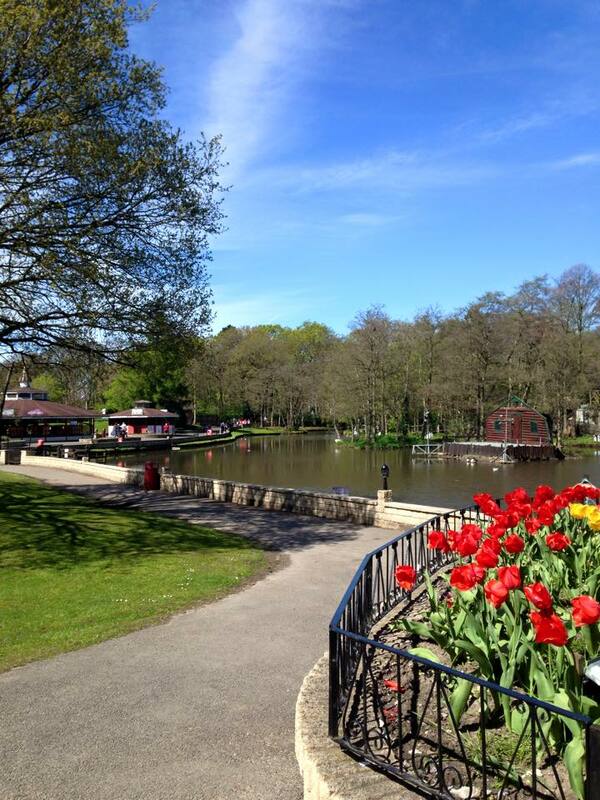 With the cold weather now hopefully behind us, its time to enjoy the sunshine and get out and about visiting some of our favourite places and attractions. 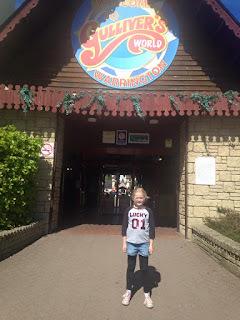 Gulliver's Warrington is a firm favourite with my children and with it only being less than an hour away from us, it seemed a good a place as any, to head out to for a fun filled day! We often rely heavily on sat nav to find places that we are visiting but found that this attraction is very well signposted in the surrounding areas, and so we chose to follow the signs as opposed to some of the roads that the sat nav was trying to send us down. We live just on the North Wales border and so with some slight traffic we got there with a comfortable journey time of 40 minutes. The attraction has a large car park and so we have never found parking to be an issue, and there is the added bonuses that firstly parking is free and secondly the car park is only a a very short distance away from the entrance. There were some short queues at the kiosks to purchase tickets, but these queues moved relatively quickly. If you have a toddler, then I would recommend having them out of their pushchair ready to be measured at the kiosk as Gulliver's charge entry based on height as opposed to age, so there were some short delays whilst parents got their children out ready. One constructive comment I would make in relation to this, is that although children are measured on entry to the park, they aren't provided with any kind of wristband to state that they are over 90cm and so this then causes further delays in the park at the entry to the rides where the ride operators double check children's heights. A wristband provided on entry could help remove the need for staff to do this, and speed up the ride boarding process. When entering the park, there is a large stage on the left which has shows on throughout the day. Adjacent to this is a lovely lake area which is very picturesque and has an abundance of ducks swimming happily around. The park itself is very well laid out and it isn't too big. 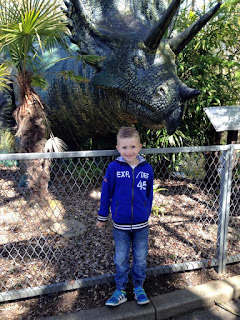 It is an ideal size to make your way around in one day at a steady pace without having to rush from one side to the other to get on all the rides. The different areas of the park have all be named and the map provided on entry explains clearly which rides are in what area. There is also an interactive version of this available on their website here - Gullivers's Map. The interactive version also clearly details height restrictions in a colour coded format which is very easy to understand. We visited in early May and didn't have any issues with large queues for rides. The maximum time we waited was only 15 minutes and this was for the log flume which seemed very popular. This was a fun family ride and I admit that I think I enjoyed this even more than the kids! One thing that I do have to commend the attraction on, is the number of parks that they have that are suitable for younger children. Near almost every larger ride there is a park nearby so you can keep the youngest members of the family entertained whilst the older ones enjoy the rides. They are also well positioned so that you can still see your other family members enjoy the rides and I found this to be a big plus point. 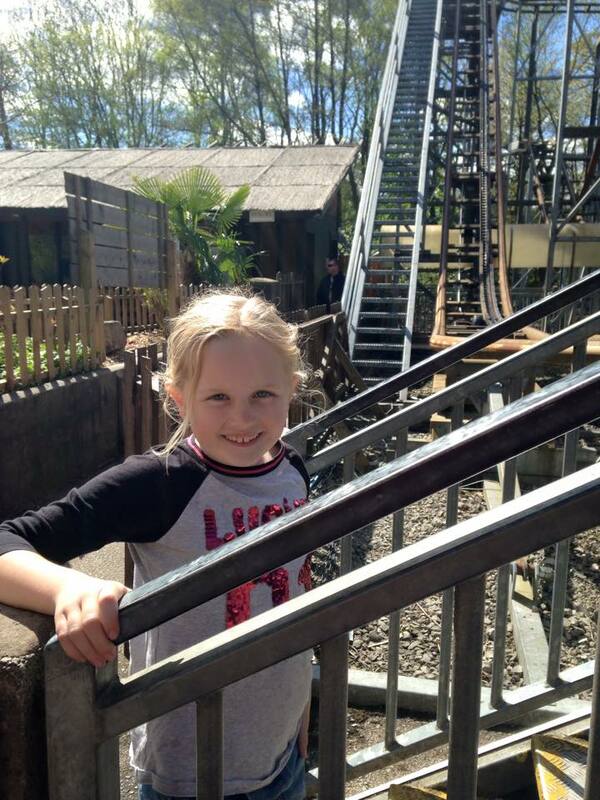 My two eldest children Ben age 7 and Emma age 8, absolutely loved it here as they were tall enough to go on everything, and with there being so many rides to choose from that were ideally suited for their age, it made it a very enjoyable experience. My daughters favourite ride was the Wild Mine Ride, though personally I found this terrifying haha! 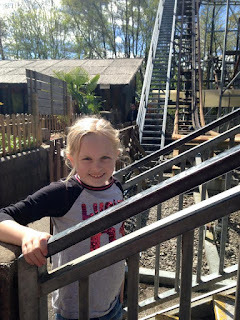 She was laughing all the way around whilst I was screaming and when she came off the ride she said that her tummy hurt from laughing so much and quickly ran around to queue to go on it again. Admittedly I gave it a miss the second time around. Some of the rides also have the option of purchasing a photo of your ride experience which can be a nice memento of your day. There is no pressure to buy though and you can view your picture on the screen before deciding whether to purchase or not. 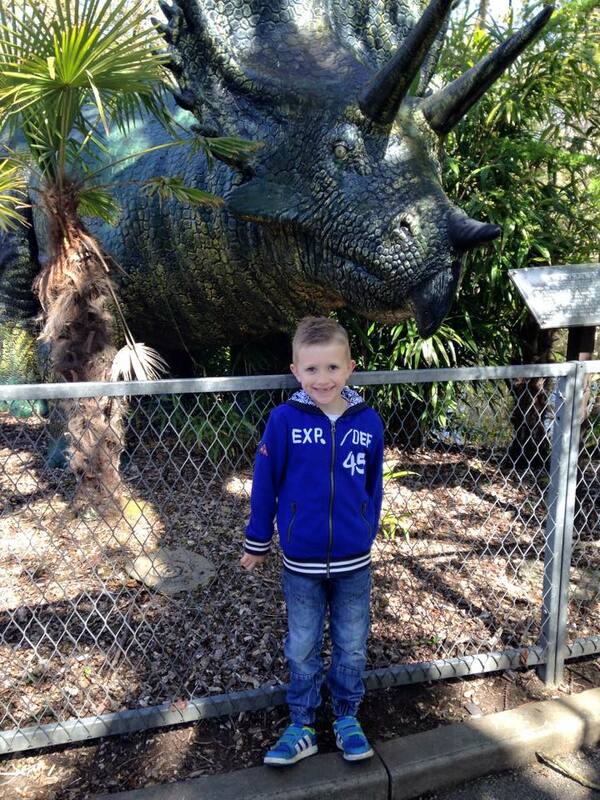 My son Ben loved The Lost World and looking at all the different dinosaurs. We found it to be very quiet in this area of the park and had no queue to go on any of the rides here. With it being quiet it also made it a nice area for our youngest child Riley to have a wander around out of his pushchair without having to worry about crowds of people. There were several places to eat throughout the park, however we had gone out for a buffet breakfast prior to our arrival and so we didn't have any need to try any of the restaurants out. They did seem very popular though and the food that we saw other diners eating looked of good quality. The menu prices were reasonable in comparison to other attractions we have visited, and if, like me, you like to budget ahead of arrival and know what you will be paying for the day, there is also the option of purchasing a Fully Inclusive ticket which includes entry to the park as well as a meal, drink and iced treat. More information can be found on this here - Fully Inclusive. Combi tickets and fully inclusive tickets are also available. Opening times can vary throughout the year and so for the most up to date information I would recommend visiting their website prior to your visit. *Disclaimer - This post has been written based on our own experience and opinion of this attraction. We are not in any way connected with Gulliver's and if considering a visit I would recommend visiting their website for all the latest up to date information on entry costs, opening times, height restrictions etc.